I just thought I'd add in here that I found the 1GB Transcend flash DOM for a cheaper price than transcend.com - after doing a lot of looking around! It was $15.70 with free shipping and no tax. The company is based in Texas so I suppose there isn't any tax in the other 49 states. Be sure to select the "free shipping" option on the checkout page before submitting the order, because it defaults to FedEx ground shipping, which is expensive (almost $7, in my case). WOW! That's a helluva great price. Thanks for sharing that Roundabout! Posted: Sat Nov 20, 2010 1:33 pm Post subject: Which Compact flash to use? Guru's, I'm listening. New to this thin client business and I can feal my mind expanding faster than the Universe. I installed the 1gb ddr So Dimm. Ordered two female to female 6" IDE cables, On my desk sits the CF adaptor that i purcased like the one mentioned in this thread from hong kong i think but I'm paralized with indecision when it comes to the compact flash can I use an 8 GB what about speed are there limitations I was considering a 8 to 64GB transcend @ 600x but will I be able to utilize that much speed? Trancend tech support said thin client wouldnt accept anything over 2GB, is this so? Is there a work around? I want to create something outragios in that I've built a moster of a P.C. and have run out of things to spend money on it and took up this project. 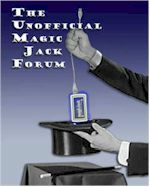 I want to make this thing as outragios as it can be to serve not only as magic jack but, other things I've seen in several diffrent blogs. I'm interested in your experince and accumulated knowledge. Running a Pissed off! 1090T on Asus Crosshair Formula IV, 16GB Corsair XMF Ram, Coolit Systems liquid cooled Processor with 2 Excalibur fans in push pull configuration. GTX480 video card, Crucial Crucial 256GB SSD 1GB WD Cavier Black, Antec 1200 watt PSU Plextor Blue Ray Burner, AFT PRO-55U card reader Asus ROG Overclocking Station. All housed in a Silverstone Raven RVO1. 7.6 sec boot. I just read somewhere in this thread that the t5710 wont accept a 1 ghz ram does this still hold true? Is there a work around, bumed cuz I already bought it. is there anything bigger than 512 I can use that will work. I didn't know that to be an issue. Although I run 512 in mine, it can't be the form factor as the 1 GB memory chip is the same identical size as the 512 MB. Does the OS fail to install or what keeps it from working? I thought 1 GB/1 GB units were common. The t5700/t5710 series runs on 200pin PC2700 DDR RAM. It has a single slot which will take up to 512mb RAM officially. I have personally tried a 1GB module which would boot to the HP BIOS logo and freeze. (NOTE: 8 or 16 MB of system RAM is reserved for processor usage.) 256mb is perfectly adequate for running the MagicJack, but 512mb will allow the system to be a bit more responsive and less likely to have performance issues. - VaHam suggests these http://www.pcmemorystore.com/HP_Compaq-Thin_Client_Series-T5710-ram.htm - Current price $25.75 + shipping. They are verified to work on the t5700 series. - I bought a pair of these (1 for each of my thin clients) Samsung 512MB PC2700 DDR from a seller on eBay for about $18.50 shipped each and they work fine in my t5710 and t5700. If you want to buy from a well known store then go with pcmemorystore. If you want to save a few bucks, go with mine or a similar one on ebay." Now I'm not sure whether it's system limitations or the model or the brand of ram that was incompatable will have to wait for an answer from one of the resident geniuses. I have a TC 75710 800Mhz 265/256. I am about to upgrade to 1Gb/512 does anyone know if stroths 1.2 will work on my system since it it 800Mhz and not a 1.2Ghz. There is a utility in control panel to do this but I was never able to get it to work correctly. it will restart itself and then boot into the same blue screen that you normally see when reflashing the unit, except it states that its copying the flash image to your usb drive. just thought id post this bit of helpfull info for anyone wanting to make their own flash image they can easily install on multiple machines. Got a T5710 from CL with 256/256mb of flash/memory right after the latest block from MJ to get rid of ATA. Was able to delete a lot of unused files to make it work. Since I have a 4gb hitachi micro drive taken out from my palm lifedrive, after read this thread, bought an adaptor and a cable, the upgrade was a success. Recently, got a 512mb memory chip out of the bay. After put it in I decided to reload the xpe. It was a night mare I had to admit. After few try and err, finally made it work. Here is some tip may be of interest for those having similar issues. 1. Restore official image by following the instructions at the begining of this thread. If you do have similar issue like me that a message indicates that somethinglike can not accurately verify the licence, you need the following steps. 2. Boot into safe mode(F . Log into using Administrator/Administrator (hold shift). Update microdrive by following the instrctions in this thread by VaHam, then shutdown. 3. With the flash drive you used to restore xpe, put some utilities for dos in it. You will need diskgen, pmagic to fix partition, ghost to make backup. Reboot from flash drive. Use pmagic to do the partition. It seems the primary partition can not be too big. Less than 1gb seems work. 4. It should work after the partition job is done. Tweak the system if you want and reboot into the usb flash drive. Run ghost to make an backup image of your disk. Save it to the same flash drive. You are done. The ghost image makes restore like a breeze. I can't download the programs from megaupload or rapid share these sites show the programs but I cannot click on them.Am I supposed to buy something from these people?I thought this was freeware? I am sorry if my question that not seem to be too advanced or lacks the basics. What is meant by thin client? Any help would be really appreciated. A search for thin client might lead you to this http://www.phoneservicesupport.com/hp-thin-client-and-magic-jack-t685.html among others. Message is a little effort goes a long way. "The system was not shipped with the image OS "